My great aunt in Germany made this buttery zwetschgenkuchen every summer when we visited. 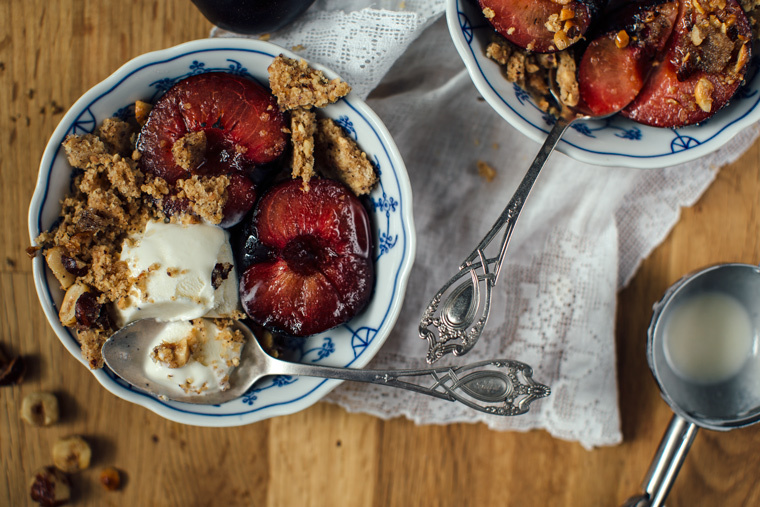 These sweet, tart plums were always in abundance during this time of year. This cookie crumble is much more casual than that beautiful cake she made but the flavors are reminiscent of it. I’m not a huge fan of cooked fruit – I like it fresh best, in all it’s sweet, tart, juicy glory. But torched comes in a close second. Saucy, caramelized but still fresh and tart – and just warm enough to melt the ice cream a bit. If you don’t have a torch, a few minutes under the broiler works fine too. So this cookie crumble stuff is dangerously easy to make and most likely you will have all the ingredients on hand, lucky you. 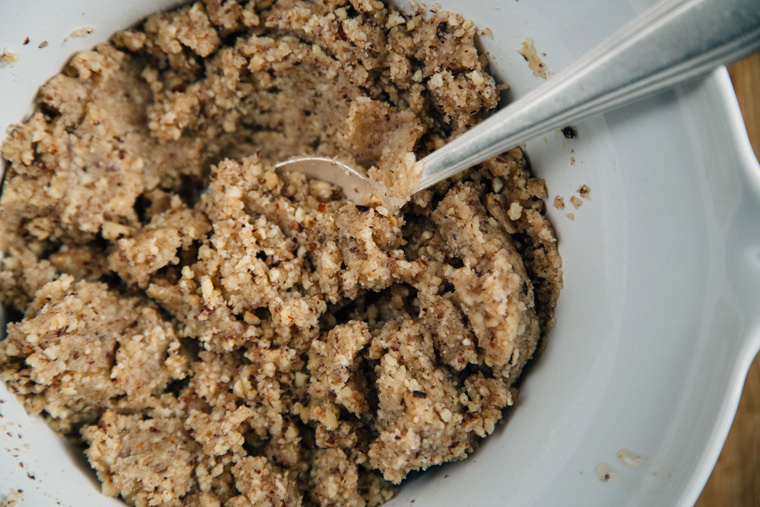 Brown the butter in a small saucepan until nutty and fragrant. 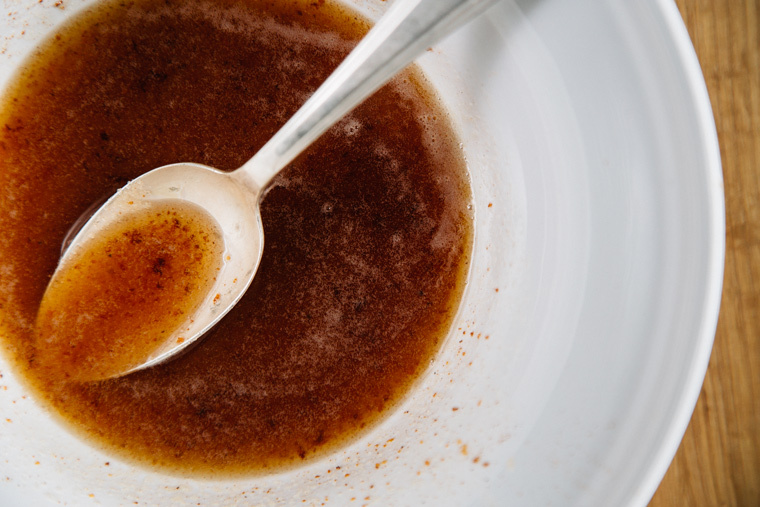 Let cool slightly, pour in 1/4 cup of sugar and mix to dissolve. 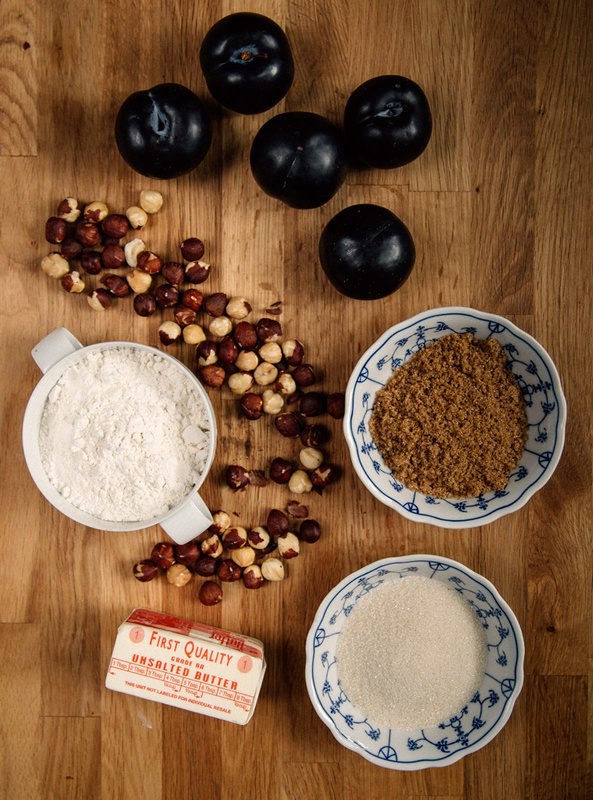 In a separate bowl mix together the remainder ingredients. Pour in the sugar / butter mixture into the dry mix. Stir it up! Pat it onto a parchment papered cookie sheet (like you’re making one giant cookie) less than half an inch thick. Bake at 350F for 15 minutes until golden brown. Let cool and then break into crumbs. 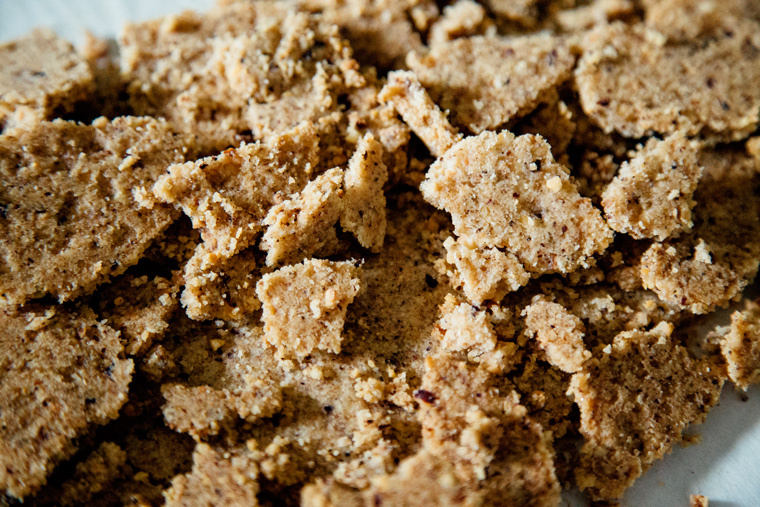 For the cookie crumble: brown the butter in a small saucepan until nutty and fragrant. Let cool slightly, pour in 1/4 cup of sugar and mix to dissolve. In a separate bowl mix together the remainder ingredients. Pour in the sugar / butter mixture into the dry mix. Stir it up! 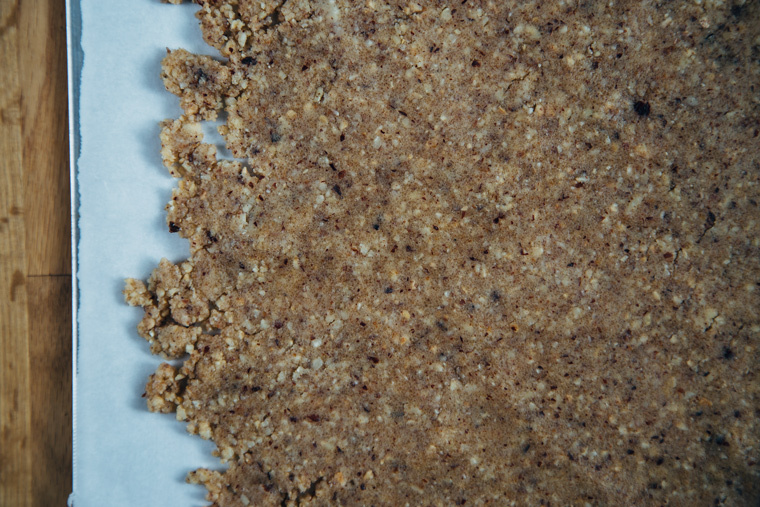 Pat it onto a parchment papered cookie sheet (like you’re making one giant cookie) less than half an inch thick. Bake at 350F for 15 minutes until golden brown. Let cool and then break into crumbs. 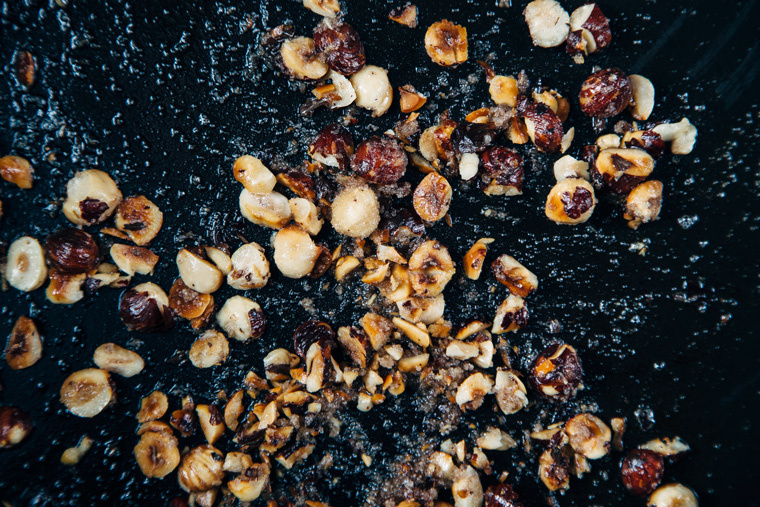 For the hazelnut crocante: melt the butter in pan, toss in the roughly chopped hazelnuts, lightly toast until fragrant. Add the sugar and salt, mix and then turn off the heat. 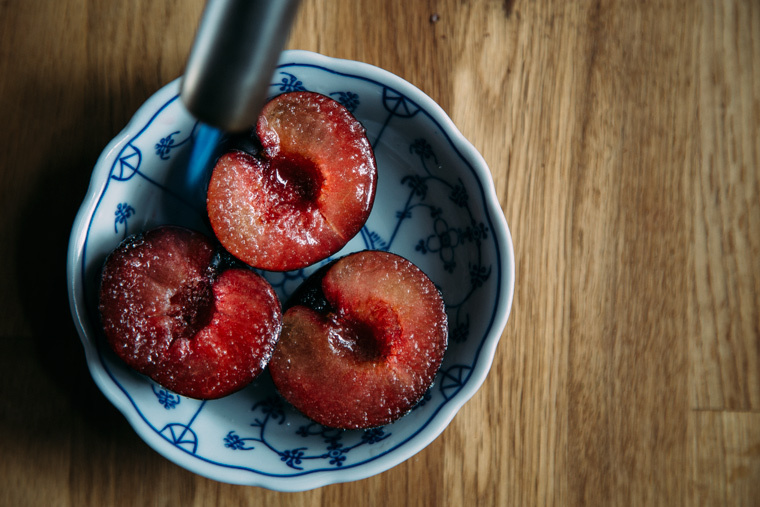 For the torched plums – cut fruit in half, sprinkle with sugar and torch until the sugar melts and starts to bubble. Serve with vanilla ice cream or scoop of mascarpone or drizzle of cream. 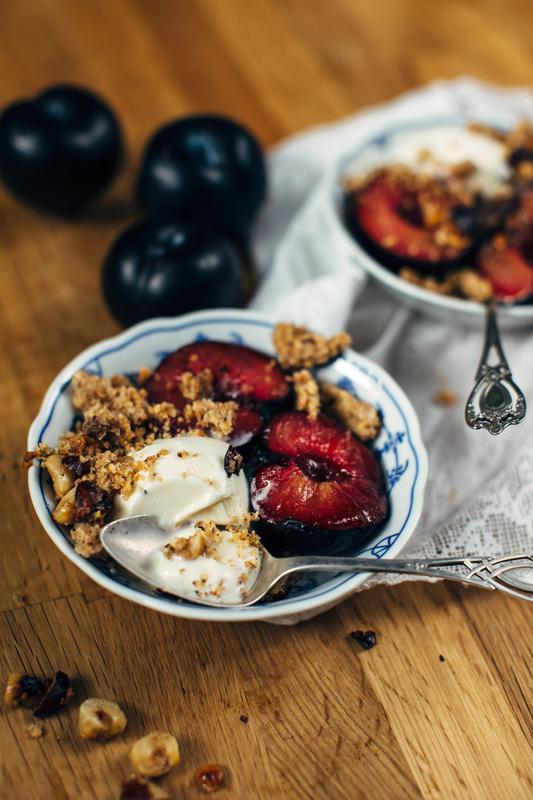 I love plums, this looks amazing! Thank you Kelly! Yay for plums! Hope you’re well! Those pluuuuums!! This looks fantastic! 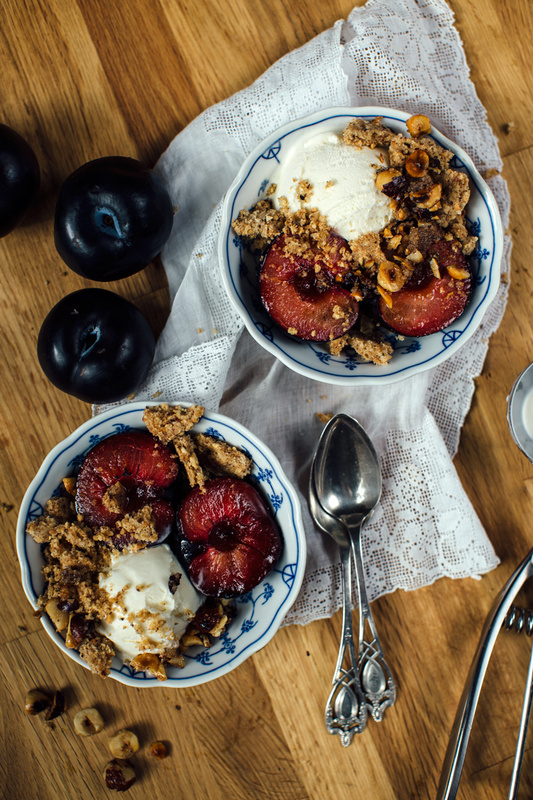 Hi Grace, love plums, what a incredible looking dessert. 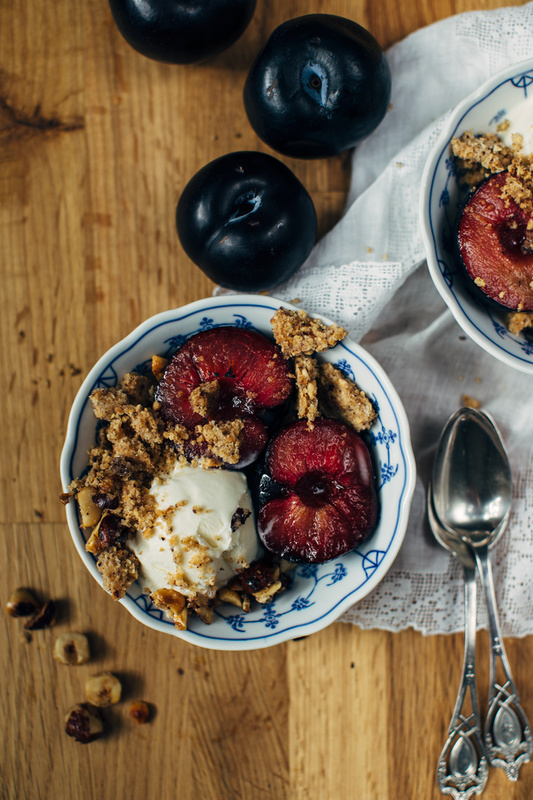 Gaah, that crumbly hazelnut topping looks amazing, and this is the perfect use for all of those plums. The Swiss also love their plums this time of year and plum trees are everywhere around here. Thank you Katie and hooray for plum season! This looks so delicious! I love the vibrant color of plums but rarely think to eat them. Most of the recipes from my childhood are REALLY decadent and it’s always great to find a similar substitute to them that is less labor intensive or a little healthier. Thank you Shelly And yes! Less labor intensive is key – the faster I can get brown butter cookie stuff in my mouth the better. Have a lovely weekend! I think Kid Rock said it best when he proclaimed nom to the nom da bang a dang diggy diggy diggy said the boogy said up jump the boogy. Or something like that. Emily, you’re so funny and nice and cute and.. happy we’re blogging buds. Thank you so much Olivia! Have a wonderful weekend! Hey Grace! I just love whenever you have a new post! Your food is always so darn delicious! I just had a question…since I don’t own a torch…would I be able to roast the plums!? If yes what temp and for how long do you think? 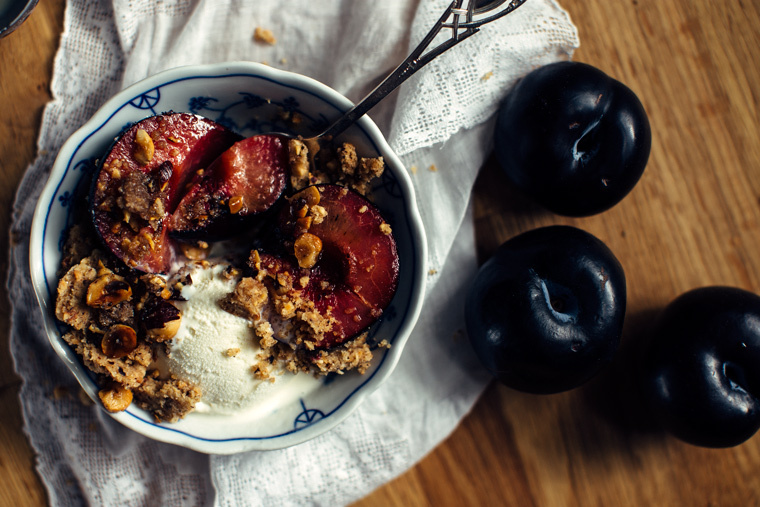 There is such a large variety of plums in season right now. I can’t wait to try this out. Thank you so much Many – so nice of you to say! And yes, you can roast the plums at 350 F for 10 minutes or if you have a broiler that would work well too – on low (middle rack) for about 6 minutes. Yay for plum season!